Pictured from left: Gina Glenn, Candi Glenn, President Clements, Gerald Glenn, Mike Glenn, Charlie Glenn and Bethany Bolen. Glenn’s time in civil engineering at Clemson paved the way for a successful career, during which he worked as a director of Fluor Corporation and as a group president of its primary subsidiary, Fluor Daniel Inc. He then went on to become chairman, president and CEO of Chicago Bridge and Iron, one of the world’s largest engineering and construction companies. In addition to giving extensively to the College of Engineering, Computing and Applied Sciences Leadership Circle, the Fluor Daniel Engineering Innovation Center and the Barker Scholars Endowment, he and his wife Candi provided the naming gift for the Glenn Department of Civil Engineering in 2011. “We did that so kids could have the opportunity to do something maybe they couldn’t afford to do or that wasn’t available to them,” he said. However, the Glenns view education as much more than academics. They see education as a wholistic experience that includes all the opportunities the University has to offer, and one of those primary opportunities is athletics. 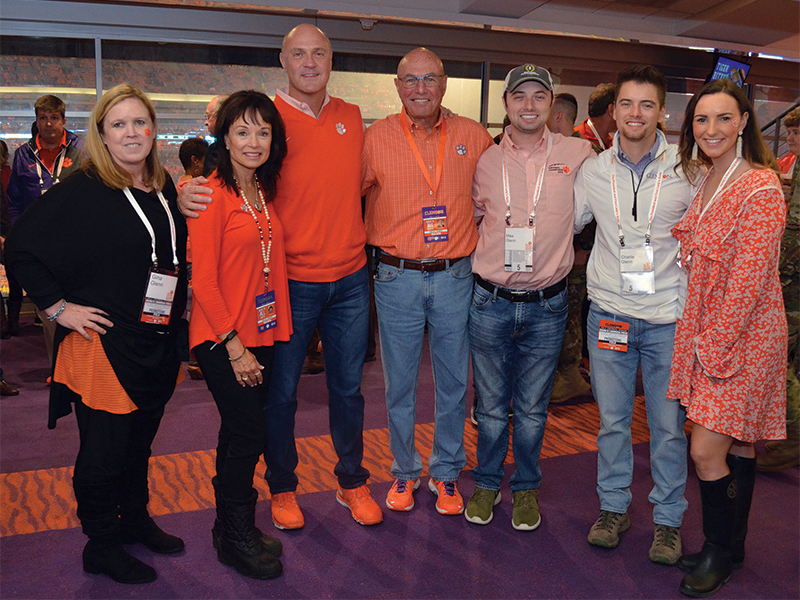 As Clemson’s ninth Athletic Cornerstone Partner, the Glenns have joined a special group of donors to athletics with a $2.5 million gift. The Athletic Cornerstone Partners are a bold and visionary group of leaders who have given transformational funding to propel Clemson forward, laying a foundation that will impact students for generations. For Gerald and Candi Glenn, both academics and athletics at Clemson are worthy of investment. “An education is something that cannot be taken away from you, no matter what happens,” Candi Glenn said. The Glenns’ dedication to Clemson over the years has proven that Clemson truly is close to their hearts — blue blazer or no blue blazer.